I’ve been a fan of this psychedelic and experimental kraut/space/trance rock band from Madrid, Spain, since I first heard their second demo EP Inner Temple / Outer Temple in 2012. 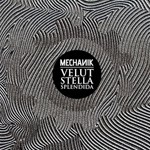 Velut Stella Splendida demo EP came later that same year, and surprise: in 2013 they were involved with my favourite record label Fruits de Mer with 25 minutes of greatness on their Strange Fish vinyl album series. Later last year they also released their debut full-length on Russian R.A.I.G. label and I got to say this is their best stuff yet. This band has a lot of elements I love: hypnotic, tight grooves, heavy guitar, psychedelic guitar, floating guitar, spacey synthesizer sounds, jamming, chaotic noise parts and also some mind-expanding vocals. There are some similarities with bands like Mugstar, Kinski, Korai Öröm, Seven That Spells and Acid Mothers Temple, just to name a few. The CD is pretty long at 76 minutes, but I got to say that I’m never bored listening to it. There are nine tracks (from just under fiver to close to 23 minutes in length), and some of them are new, updated versions of previously recorded ones. The opener “Wherever You Are Is the Entry Point” starts of slowly as a quiet drone, but after two minutes a hypnotic, monotonic kraut groove materializes. This instrumental gets heavier and more powerful until it fades out in the end. “In the Faith That Looks through Death” has a nice groovy drum beat, repetitive bass line, excellent heavy guitar licks in the vein of Robert Fripp, Syd Barrett styled vocals and lots of space sounds. In the end the song goes really psychedelic and takes you into another world. Superb! “Pills” is an old song but this version rocks out even more and has some AMT influences in the slower, heavy parts. On “De Tepenecz” the band calms down for a while in spacey ambient sounds bringing to mind the trilogy era Gong. A steady beat and almost whispered vocals rise from the ambient pool but this track stays pretty hazy and floating. Great! One of my favourites is “Zum Traum” that sounds a bit like Kinski on their most spaced out moments but also has some 60s psych rock vibes. There’s also some nice lead guitar in the end and the bass player gets wild too. As the title suggests, “Bliss & Gloss” is a long, slow and blissful space jam bringing back memories from the early German kraut pioneers high on acid. Also “Russian Doll” begins in a very tranquil mode with even some acoustic guitar. Then we get soft vocals, and the track starts to build up. The vibe here is somehow different to the rest of the album but I still like it. “Inner Temple” is another rehashed old track and an absolute mind-blower. Here the band elevates to another level, I would love to see this happening live! Finally, the 22:47 long “Most People Were Silent” will destroy the rest of your brain cells but in an evocative, pleasant way. This is perhaps closer to post-rock, but I like it too. What a great album! 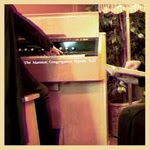 Turku-based heavy psychedelic occult rockers The Mansion released their new 7” just in time for their very successful Roadburn Festival show this April, and I was lucky to receive a promo copy at the festival. Like the debut EP We Shall Live released last year this is a limited edition. On this release the group has chosen a wilder, devilish approach, especially so on the fierce A-side “Wild Child”. This is pure wild, energetic hard rock ’n’ roll and something that The Mansion has not done before. These also some nice fuzz guitar leads, but I always want more of that… There are even some horns, and Alma’s vocals have a suitable, slightly distorted quality. Excellent! The B-side “New Dawn” is a doomier, more atmospheric affair including moody keyboard sounds (Mellotron as well?) and slower parts. A great song with nice melodies and hooks! Get this amazing single soon or you will miss out. You can check it out on their Bandcamp site. 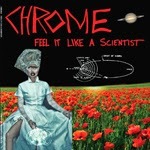 Chrome started in LA in the mid 70s. Their first album The Visitation came out in ‘76, and after that guitarist Helios Creed joined the band and was featured on the second album Alien Soundtracks (‘77). The main core of Helios Creed and synthesizer player/drummer/singer Damon Edge then made a series of albums being true pioneers of psychedelic, sci-fi themed and spacey acid punk and industrial music. Their collaboration ended in early 80s when Damon Edge moved to France to release solo albums and also more Chrome records with a different line-up. Helios Creed went on a rather successful solo career releasing loads of killer albums in the warped-out Chrome spirit. Their influence has been huge on various music styles like psychedelia, punk rock, new wave, space rock, industrial, experimental music, metal etc. After Damon Edge died in 1995 Helios Creed released a couple of albums as Chrome, and last year saw the release of the amazing double album Half Machine from the Sun that included unreleased, lost recordings from the band’s golden age ’79-’80. 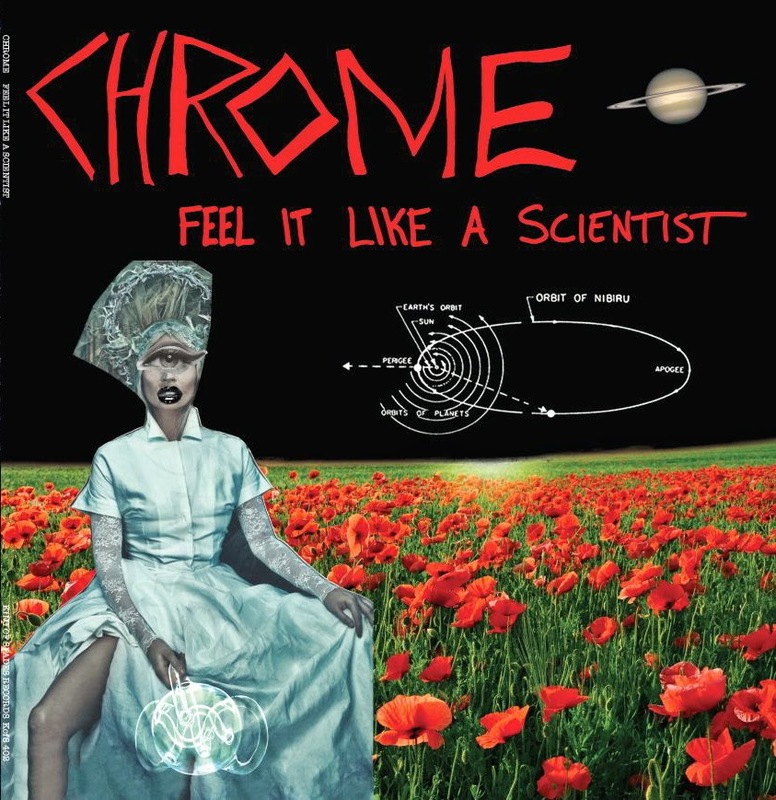 The reformed band (featuring Helios Creed on guitar and vocals and for example Tommy Grenas from Farflung on synths) is right now on European tour and their brand-new studio album Feel It Like a Scientist will be released this summer. New studio album Feel It Like a Scientist out soon!!! 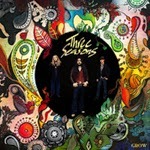 Three Seasons is another hard rock band from Sweden. Having said that, they do have something extra to offer that your average 70s influenced Swedish heavy blues bands that seem to be everywhere don’t usually have. Sure, you can hear the usual Zeppelin/Purple/Heep/Gillan/Whitesnake vibes from time to time, but these guys somehow can do it freshly and in an interesting way. They also got some psychedelic touches which makes things tastier for sure. This new album will be released tomorrow and they have put out two albums and one 7” before so they already know what they’re doing. I like the fact that these guys are not afraid to throw in a good, long guitar solo, or put some extra delay on the vocals when needed. Also the singer and rhythm section are excellent, and organ is of course essential in this kind of music. There are eight tracks on the album and there are no fillers included. The two first ones “Which Way” and “Drowning” rock out pretty hard, while the third song “By the Book” is a bit slower, mellower and more atmospheric although it still has some fuzz guitar. “Tablas of Bahar” is an over-seven-minute epic instrumental that also has some great acoustic guitar passages etc. At first they definitely have aimed to Led Zeppelin in 1973 vibes and done a great job at it. The mid-tempo, heavy boogie starts around the three-minute-marker, and the ending is more open and adventurous again. Perhaps my favourite! “Food for the Day” is more basic heavy, bluesy hard rock again. There’s also some Cream in there I guess? “No Shame” is the mandatory blues ballad that I usually just skip, but there is some great stuff in the middle. “Home Is Waiting” reminds me of some of the late 60s heavy blues/prog bands and sounds pretty refreshing actually. The longest track (at 9:55) is “Familiar Song” that ends up the album. It starts off very peacefully but grows after a few minutes and starts to rock out. The end is very tranquil and slow again. Not bad at all! This album might not include anything totally spectacular or mind-blowing, but I’m sure it’s one of the best in the heavy 60’s/70’s progressive hard rock genre at the moment. Here's a recent write up from Brooklyn Vegan: http://bit.ly/1hcxrZR. Here's their Bandcamp site: http://verma.bandcamp.com. They are now on the excellent Trouble on Mind Records: http://www.troubleinmindrecs.com/bands/verma.html. Here are a couple of videos to blow your mind! Verma 02.18.11 from Coach House Sounds on Vimeo. Okay, here's what I shot with my mobile phone at the festival. First we had the lovely Jack Ellister from The Netherlands who definitely won some new fans (or maybe even hearts...) with his intimate performance and bunter... Jack had played two earlier gigs in Finland as well around the May Day. Then it was time for a lovely acid folk duo Us and Them from Stockholm. This was the couple's first gig outside of Sweden and went really well. They also had some pre-recorded Mellotron & stuff coming from iPod. The Legendary Flower Punk from St. Petersburg had a more experimental but very psychedelic touch, I only got to shoot a bit of it. Finally, a little bit after 1AM we had Octopus Syng who played maybe the best gig I've even seen them play and believe me I've seen them live a lot! Very energetic, psychedelic and even mad show, I was so into it that I couldn't shoot more than this I'm afraid... People were going nuts! Thanks a lot for Keith from Fruits de Mer from allowing this happen and even being present with his lovely wive Liz, the amazing bands for playing the festival and making it such a special happening, Kalle aka VJ Hypericum for the very cool projections and Kimmo from Albinö Rhino who really saved the whole night by mixing all the bands. Also spesial thanks to Harri for hosting the Sendelica boys and helping out in other ways as well... I really enjoyed the whole experience! Okay, I have just about recovered from the Crabstock on Ice Festival... Thanks a lot for Keith & Liz, all the bands and friends who supported the cause, the venue stuff and the audience. It was a very succesful eveneing in all other aspects except financially... But that was to be expected. I will add some videos to YouTube later on! Okay, pretty Fruits de Mer oriented but what the heck... I love the label and everything it presents! 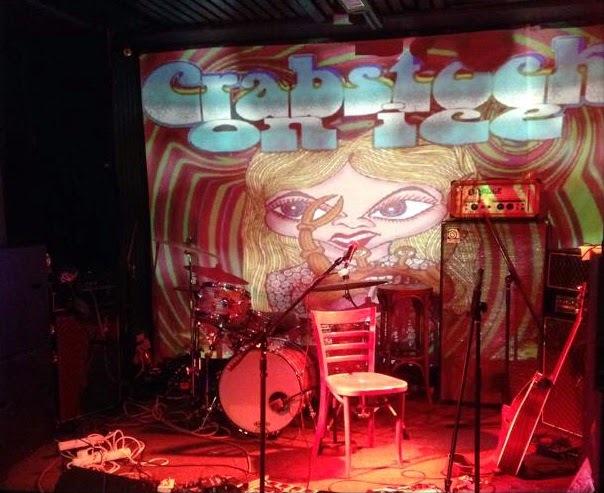 Remember our Crabstock on Ice Festival in Helsinki this saturday! Us and Them: By the Time It Gets Dark 7"
Schizo Fun Addict: Theme from Suspiria 7"
Crystal Jaqueline and the Honey Pot: S/T 2 x 7"
Bronco Bullfrog: Time Waits for Norman 7"